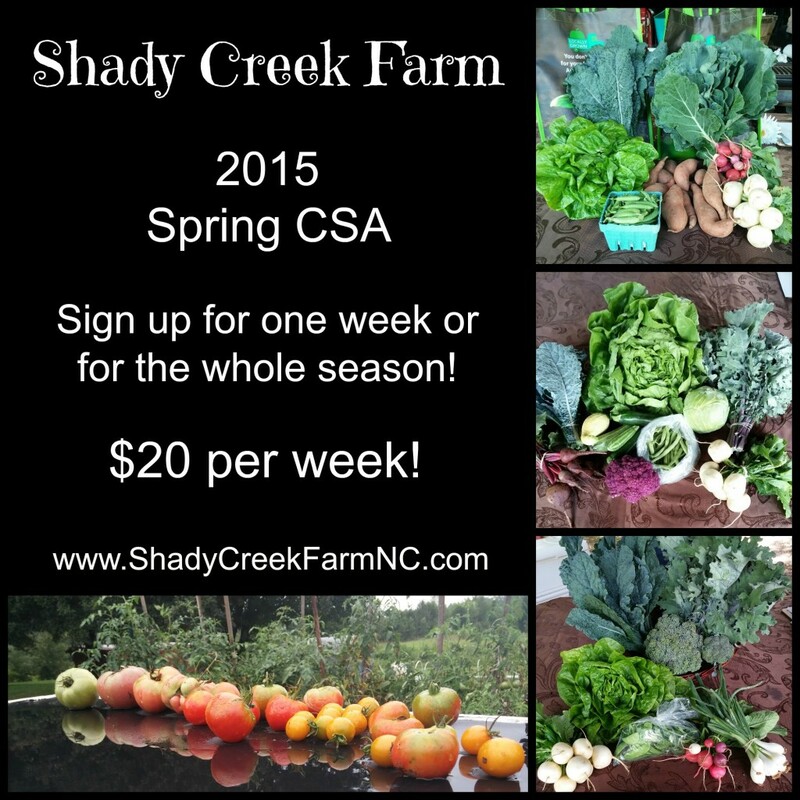 We still have plenty of space available for our 2015 Spring CSA. We are hoping to have our first pick up on April 7, 2015. We will see if the weather cooperates with us. Our CSA program is unlike most CSAs. With most CSAs, the customer has to pay the whole amount at the beginning of the year so that the farmer will have money to buy seeds and other needed supplies. Our CSA members pay $20 each week when they pick up their bag of fresh vegetables. Click here to sign up for just the first week or for the entire season! You can learn more about our CSA here. If you have any questions that aren’t answered on our CSA page, please don’t hesitate to contact us at todd@shadycreekfarmandnursery.com or 704.898.0717.